Thanks to a precise clamping forcibly guided and micro adjustment of the locking strap allows for maximum stability on non-tubular handlebars of scooters and motorcycles. The rubber strap supplied, applied along the inside of the belt micrometer protects the handlebar from pulling and rubbing. The sturdy eyelet terminal and the belt micrometric allow a progressive traction to reach the final stability of the whole fixing system. The control system of the support bracket allows precise regulation of the angle of bayonet mount for dedicated products in the Interphone. The system SSCiPhone is easily removable for use on other motorcycles and is also equipped with quick release lever that allows removal of the device. SSCiPhone not require installation by qualified personnel and is ideal for all types of scooters and bikes with non-tubular handlebars. 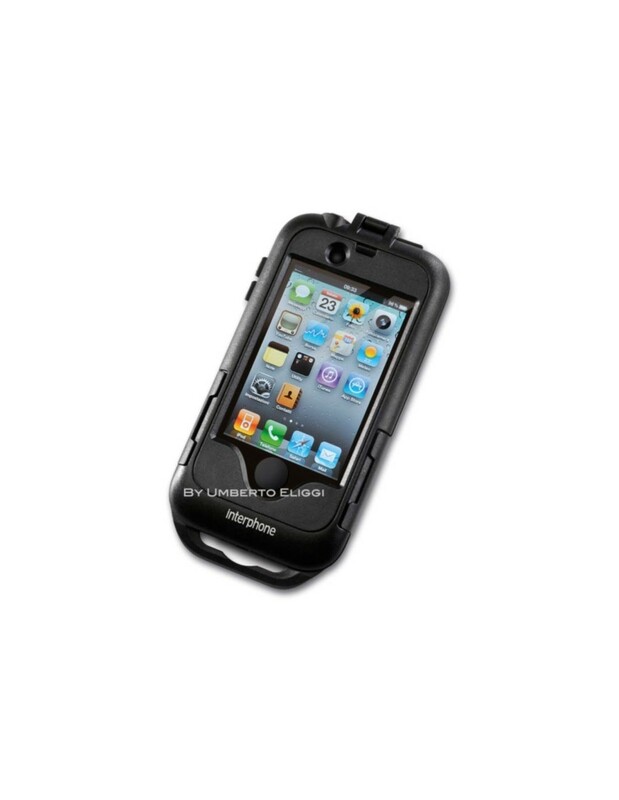 IPhone waterproof door for motorcycles and bicycles. 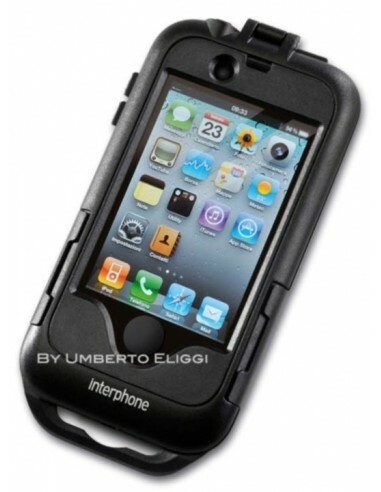 A sturdy external housing and an inner shell shock-resistant rubber for total protection of your product. The mounting bracket with safety lock can be rotated 360 ° allowing optimal positioning of the iPhone. All functions of the phone can be activated from the case, including the Touch Screen function, plugging in the headphones or the charger.